Griffith Mates is a vibrant team of current Australian and international students from across the world who speak 46 different languages. 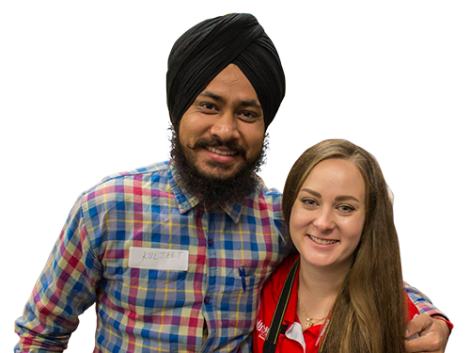 The team welcomes thousands of international students each year, helping them adjust to university life in Australia through a range of community events and activities. Connecting with Griffith Mates is a great way to practice your English, make new friends, find your way around campus and become acquainted with the Australian environment. 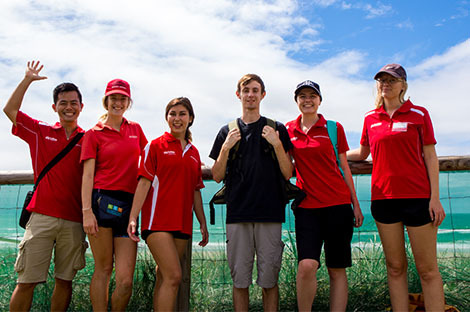 Griffith Mates regularly host on-campus activities, networking events and day trips throughout Queensland for Griffith University's diverse student population. Our Griffith Mates volunteering opportunities are a great way to meet new people, experience the Australian environment and contribute to a worthy cause. Are you interested in joining our team? Discover the benefits of becoming a Griffith Mate and find out how to apply. 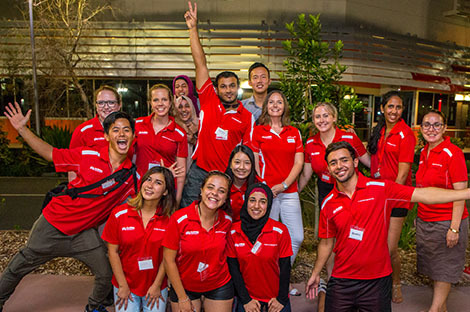 The Griffith Mates welcome thousands of new students to Griffith University each year. Our program engages students with the local community through hosting activities and events across our campuses.